Last Halloween, my son, then 10 months old, was dressed as a tiger. This time I got him a pumpkin costume. 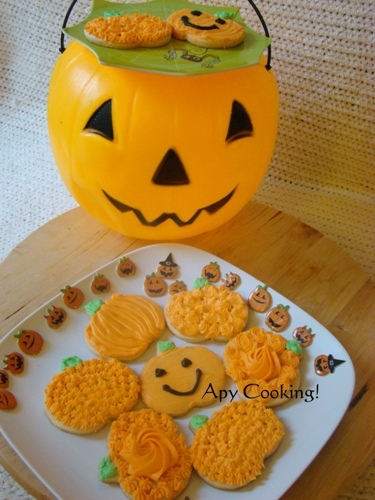 One of his friend's mom from his playgroup is hosting a Halloween party this week. 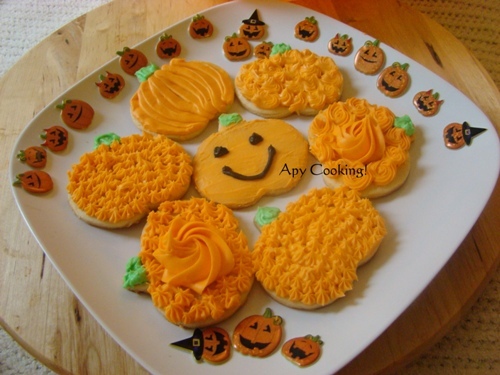 Decorating these pumpkin-shaped cookies sounded like fun so I decided to make them for his cute little friends. After scouting for a while, I came across this recipe on Food Network, by Alton Brown. Cream butter and sugar. 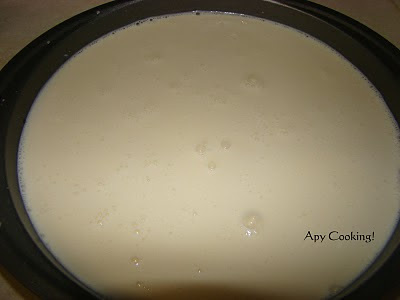 Add egg and milk and beat further. 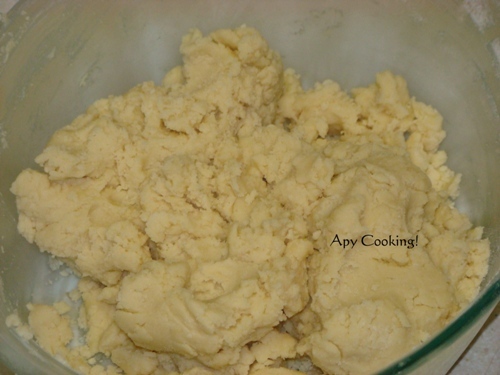 Combine flour, baking powder and salt and add to the above little by little, beating until dough forms. 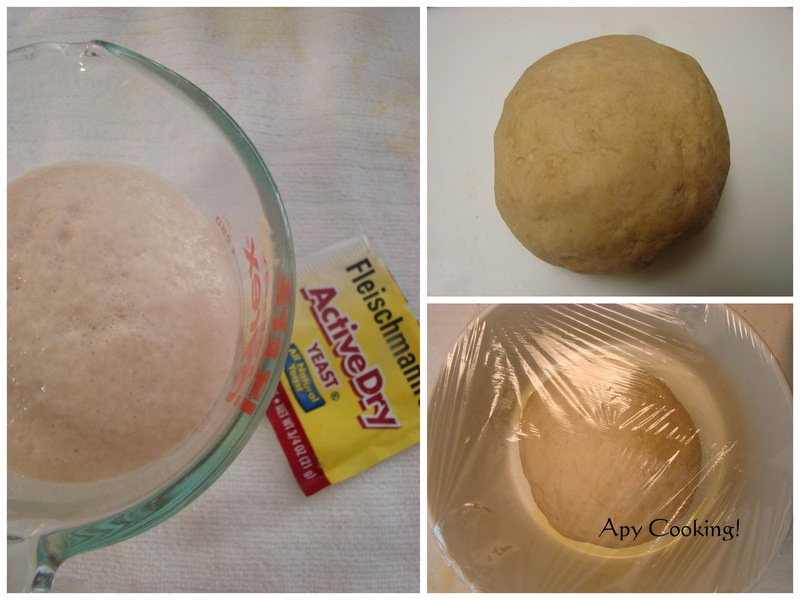 Divide the dough into two and refrigerate for 2 hours. This is where I made a big mistake. I made the dough, refrigerated it and went to put my toddler to sleep. 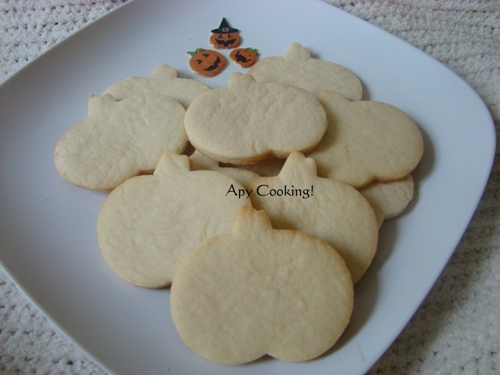 I was so exhausted, I decided to bake the cookies the next morning and fell asleep. 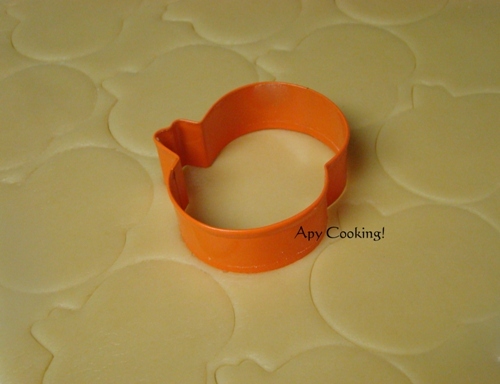 The dough had become hard and started to crack as I rolled it. I patched it up carefully. 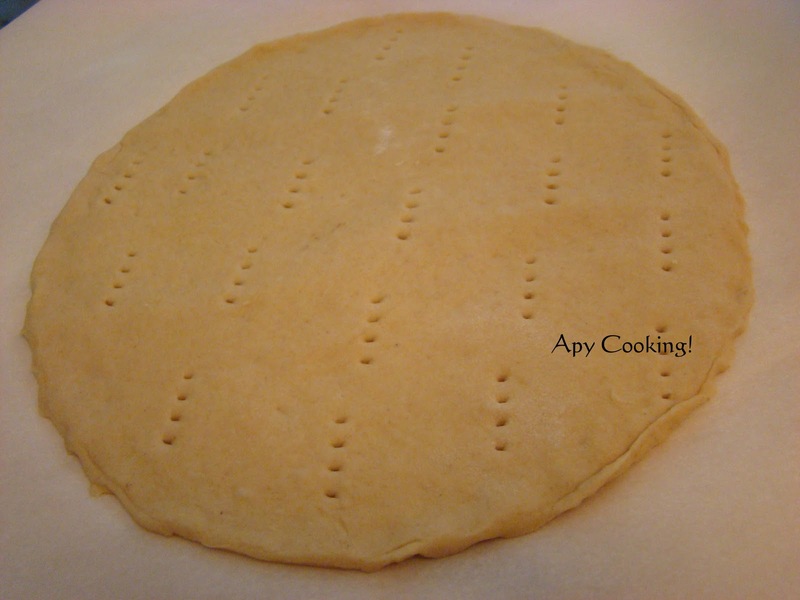 Next time I make this I'm going to use up the dough within two hours! 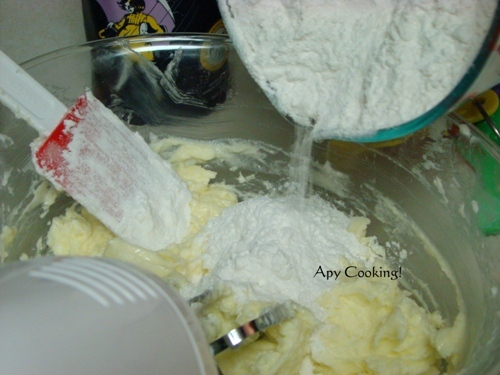 The recipe asks us to roll out the dough on powdered sugar instead of flour, to 1/4th inch thick. Using a cookie cutter, cut the rolled out dough into desired shape. 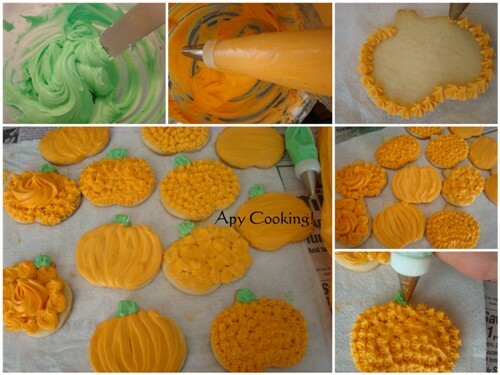 I used a pumpkin shaped cutter. Remove the extra scraping and keep aside. 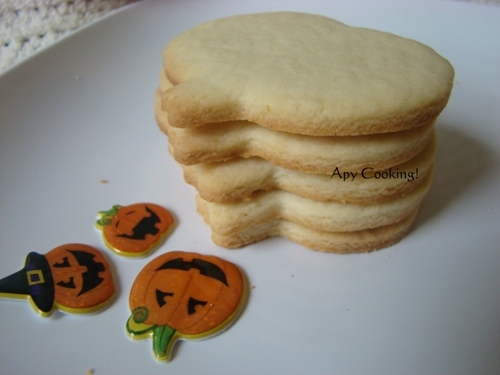 You can roll them out again for more cookies. 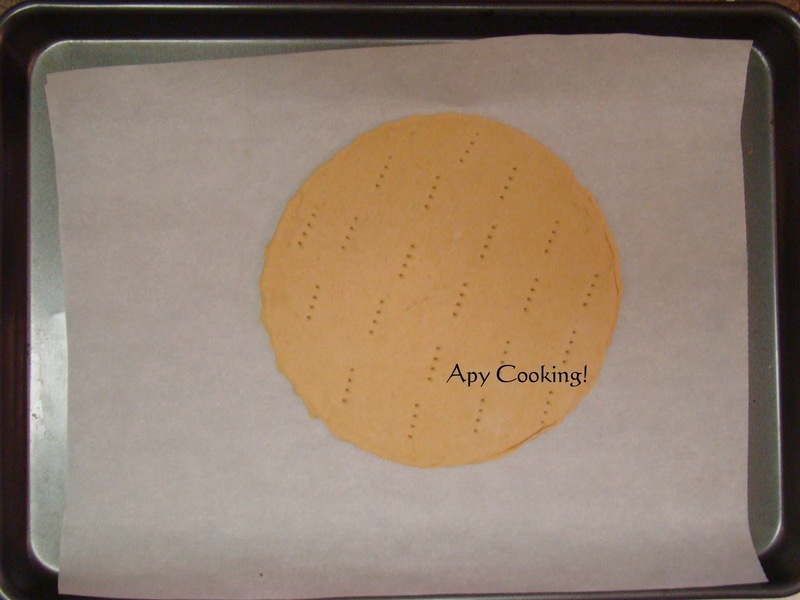 Arrange atleast 1 inch apart on a greased cookie sheet [I lined mine with parchment paper]. Repeat for the next batch, till you finish all the dough. 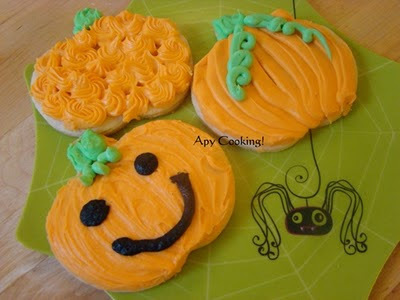 To decorate the cookies, I used Wilton's buttercream icing. I took a little bit of icing and added green food colour. I added orange colour to the rest of the icing. For the black colour, I used store bought icing because I have had terrible experiences trying to colour the icing black. You can even use chocolate chips for the eyes. To decorate the cookies, the tips I used were 5, 12, 18 and 1M. Here's hoping my son's little friends enjoy eating these decorated cookies as much as I enjoyed making them. These cookies go to Food Palate Series. This is not your regular Pizza Hut style pizza. 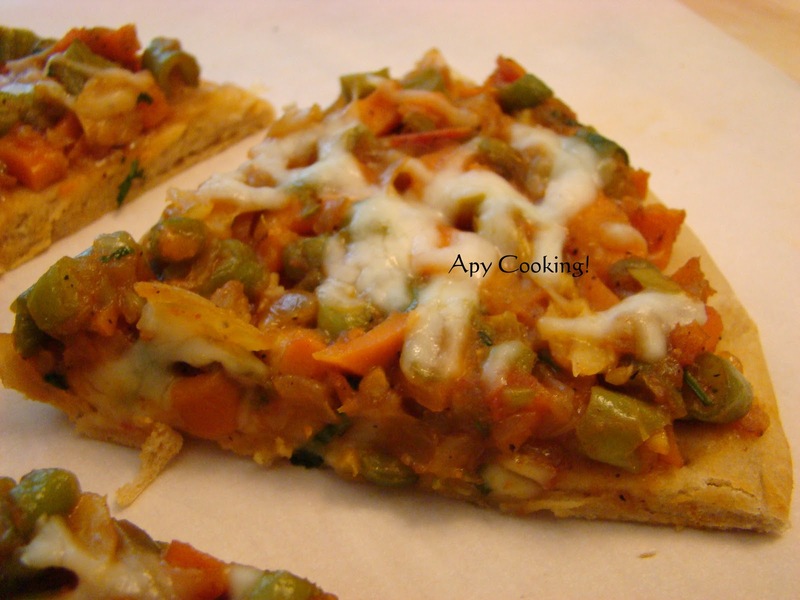 But it is my most favourite pizza recipe in the whole world. That's because this is the pizza that I've been eating since I was a little girl. 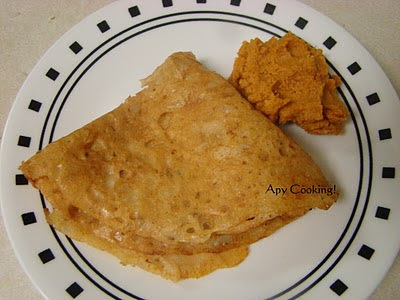 My Amma (mother) used to make it very often and my friends loved it too. 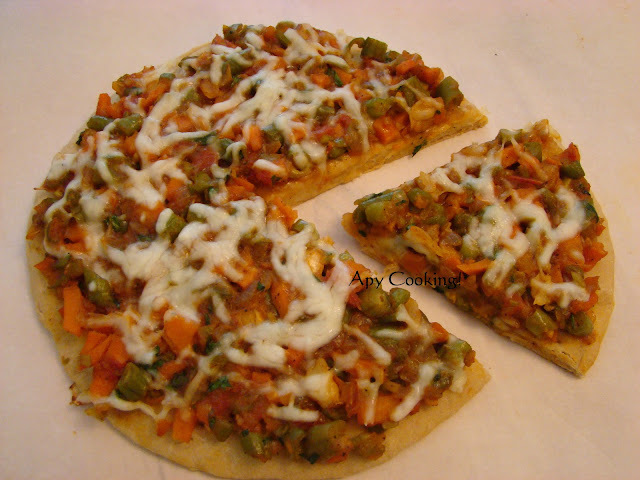 Some of them still remember the 'Pizza Party' we had several times at my place where Amma and Pachi (aunt) would whip up these delcious pizzas by the dozen. 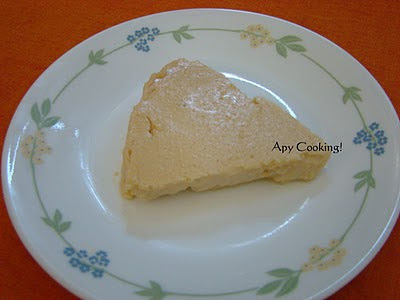 We would get the base from some local bakeries and if the base was not available, how disspointed we would be! Those were times when Dominos was the only famous pizza joint in M'lore and paying a large sum of money for a pizza seemed downright stupid! 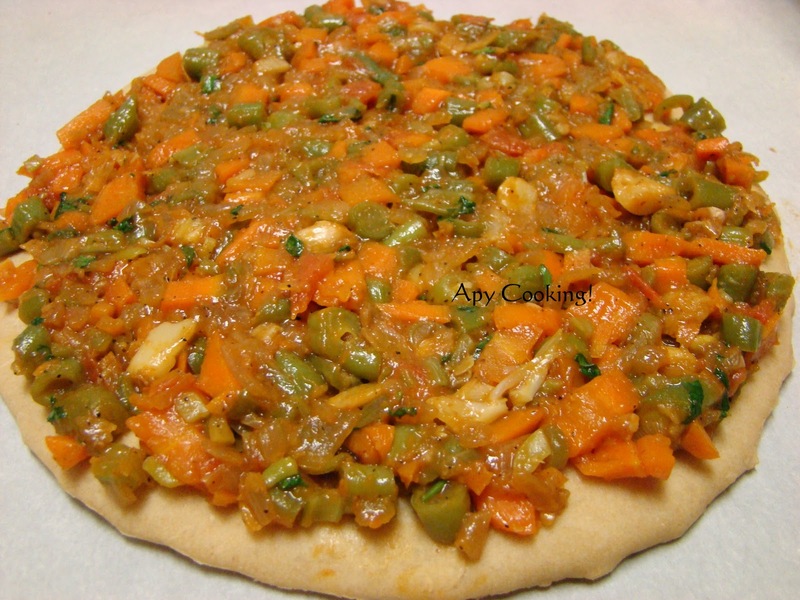 Even now when I travel to M'lore I look forward to eating these yummy pizzas made by my mother. She got this recipe from her sister, Nandini Pachi. 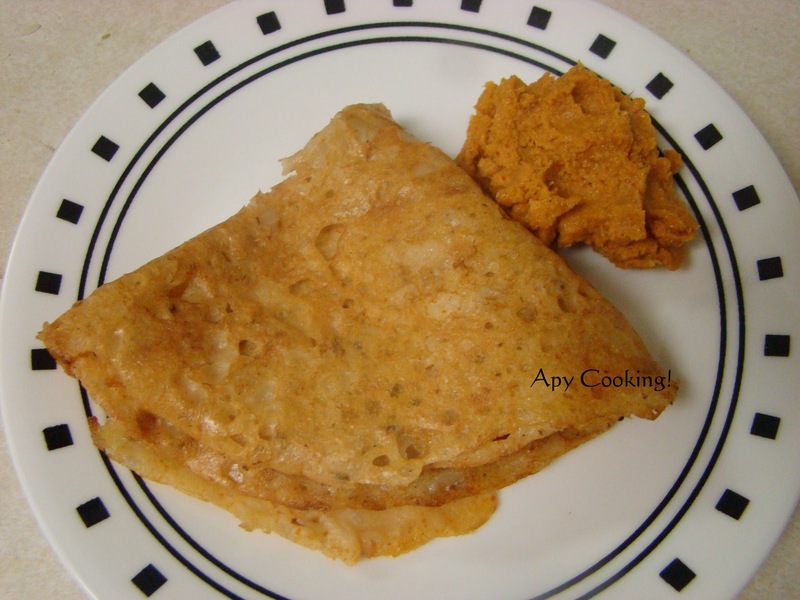 My previous endeavours with baking bread - the crescent rolls and the jeera bread - left me overjoyed. 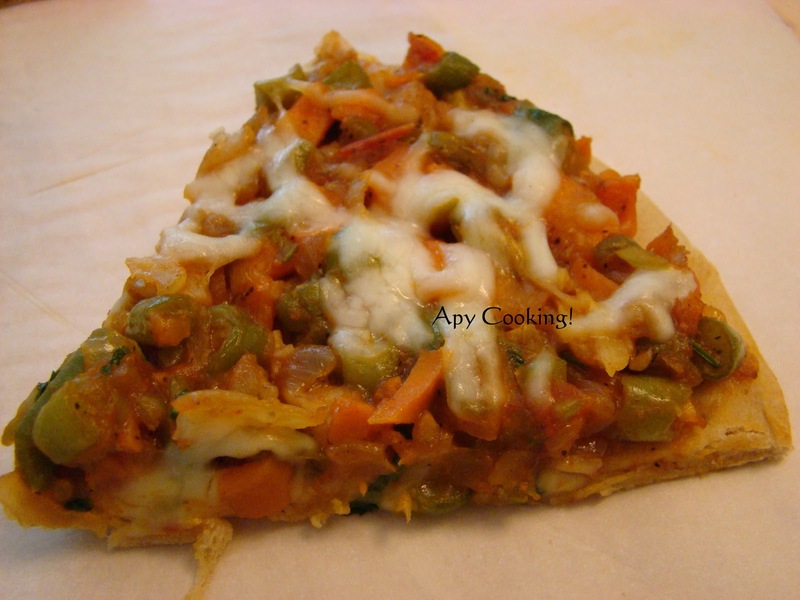 I thought of using this experience to make a whole wheat pizza base. A healthy pizza base with my favorite Indian-style topping on it, what more could I ask for! Cheese of course. [Note : You could add mushrooms, corn, capsicum, olives, jalapeños etc to make it more colourful. Here, I have stuck to my mom's recipe]. Chop onions fine. Crush garlic. I like to use the garlic peel as well, but you can discard them. Boil carrots and beans in the microwave for 4 to 5 minutes with just a few tablespoons of water, mixing once or twice in between. The vegetables should be crunchy to the bite and not overcooked. [The beans may be a bit raw at this stage but will be taken care of later]. 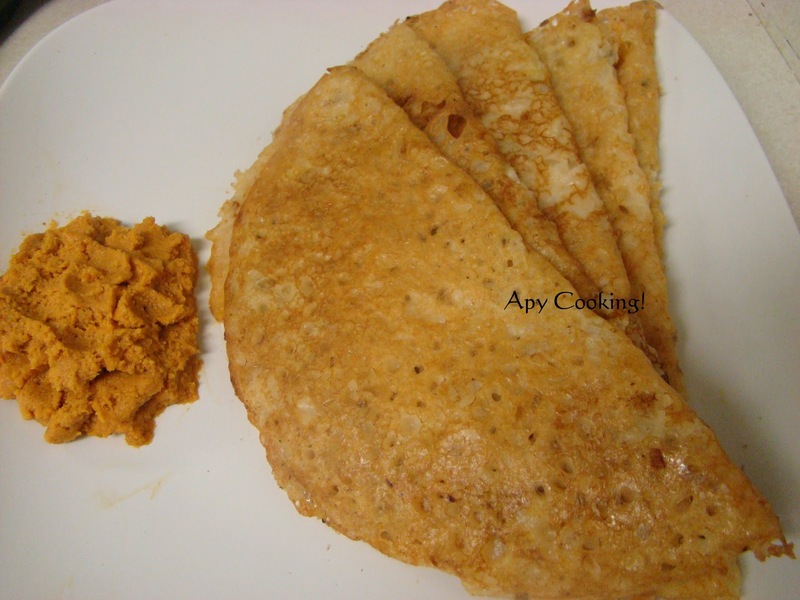 Heat ghee/ butter. Add the crushed garlic and roast till they turn brownish and exude a garlicky smell. Sauté onions till they turn translucent. 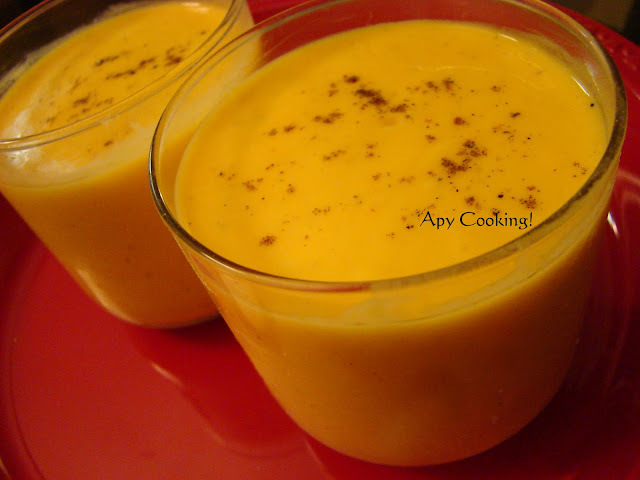 Add chilly powder, black pepper powder and stir well. Add tomatoes and roast till they are completely cooked. Sprinkle garam masala powder and roast for a couple more minutes. Add the vegetables and roast till they are cooked but crunchy. Pour in tomato ketchup and mix well. 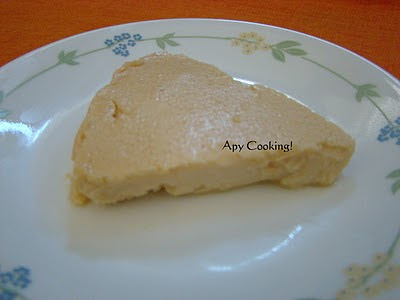 To thicken the sauce, mix 2 tsp maida (all purpose flour) with water and add. Bring to a soft boil. Add sugar, salt and coriander leaves and mix well. 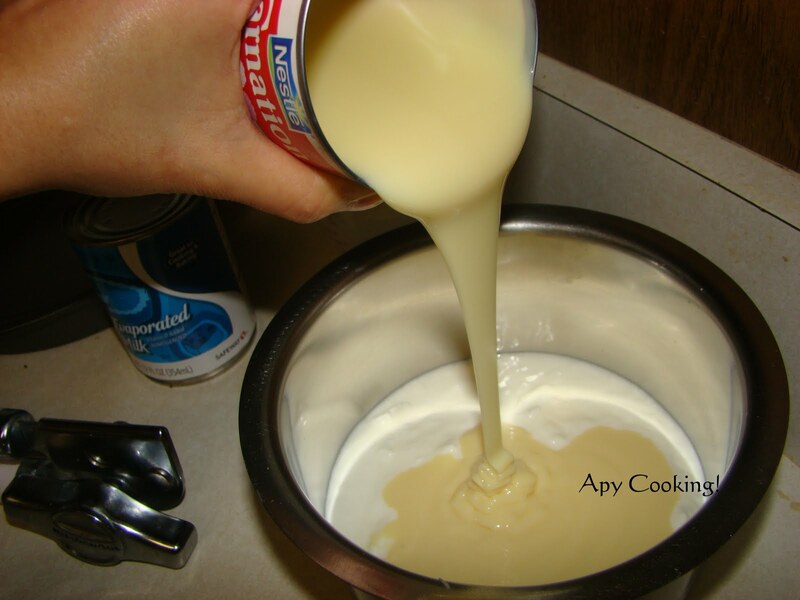 Combine sugar and 1/4 cup warm water . 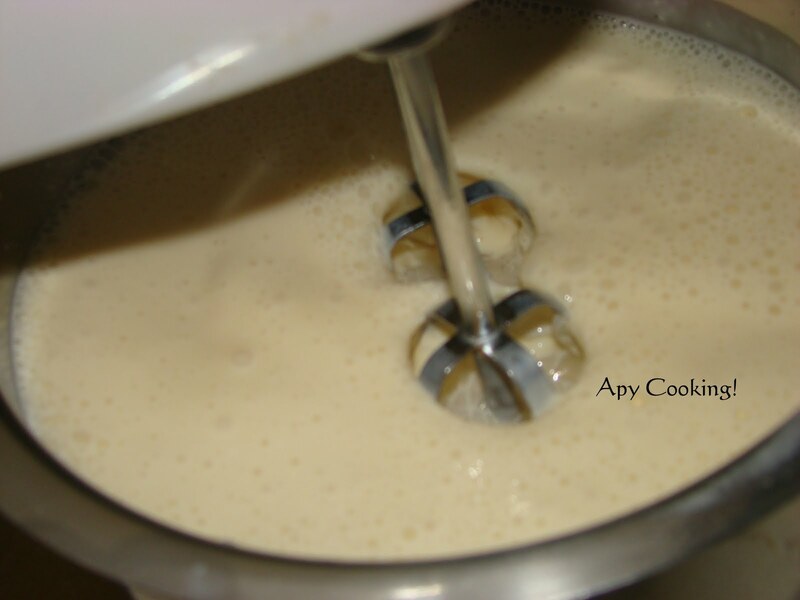 Add yeast, mix gently and leave aside for 5 to 10 minutes, till it foams. Transfer the dough into a large bowl greased with oil, turning the dough around, till it is well coated with oil. Cover with a plastic wrap or a towel. Keep aside for an hour to hour and a half, till the dough doubles in size. It will be light and airy. I remembered seeing a pizza stone being used to bake the dough in some cookery show sometime back. So I read up a little bit on it. However, I don't have a pizza stone, so I used what I thought was the next best thing - a cookie sheet [baking tray used to bake cookies]. 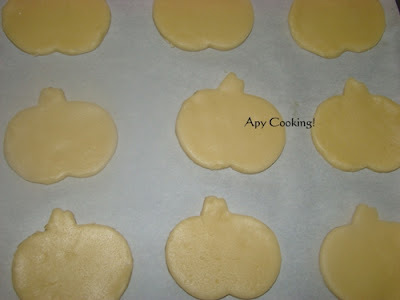 Place the (ungreased) cookie sheet into the preheated oven for 5 minutes. Meanwhile, dust a large cutting board or a clean countertop with a little bit of flour. Roll one portion of the dough into a big circle (5 to 6") in diameter. [I couldn't manage to get a perfect round. So I overturned a round plate on it to cut out a circle. I gently pressed the edges of the circle]. 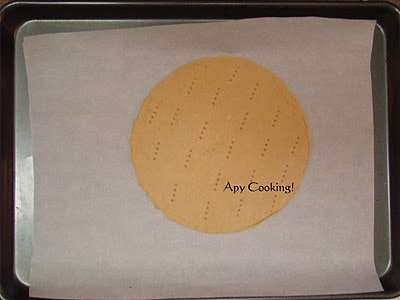 Take the cookie sheet out of the oven and transfer the pizza base along with the parchement paper onto the cookie sheet. Bake at 425ºF for 5 minutes. Take the entire cookie sheet out. Liberally spread the topping on the baked pizza base. 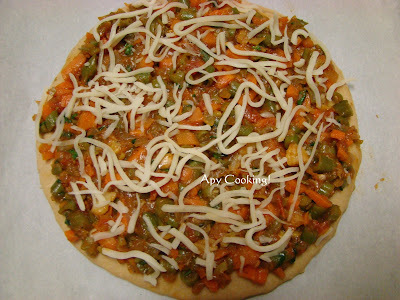 Spread grated mozarella cheese on top. This is where homemade pizza has an advantage - you can add only as much cheese as you want. Return to the oven and bake at 425ºF for another 5 minutes. Repeat with the other two portions. [If you don't have an oven and use a ready made pizza base, just heat oil on the tawa, roast the pizza covered till the bottom of the base browns up. Microwave for 15s so that the cheese melts all over]. This entire five minutes, my nose was stuck to the oven door and I was enjoying every second watching the cheese slowly melt into the sizzling sauce. Divine! And for the next few minutes I was pacing up and down waiting for the pizza to cool down a little so I could devour it! Burned my tongue in the process, but who really cares! My earlier experiences with making pulao haven't been too pleasant. Not that they were a disaster each time. But several times, either the rice would turn out too soft and mushy and break when I'd stir it or, one thin layer of rice at the bottom would er, burn. I used to make the pulao in the pressure cooker (I did not have a rice cooker) and had no clue what was happening inside until the cooker would cool down, and I would remove the whistle and open the lid. There were times when I'd secretly hope that they would come up with see-through cookers and I'd know if I needed to add more water and could easily do it. And then I saw my mother-in-law cook pulao in a regular deep bottomed pan on the stove stop. No pressure cooker, no rice cooker, just your regular pan you use to make curry in. The best part was, after a few minutes, you could open the lid and check if you need more water. So I adapted this method of cooking. Luckily I have a deep bottomed pan with a sturdy glass lid. I make my pulao in that. I also came across this wonderful tip on the internet of soaking the basmati rice in water for 20 to 30 minutes. 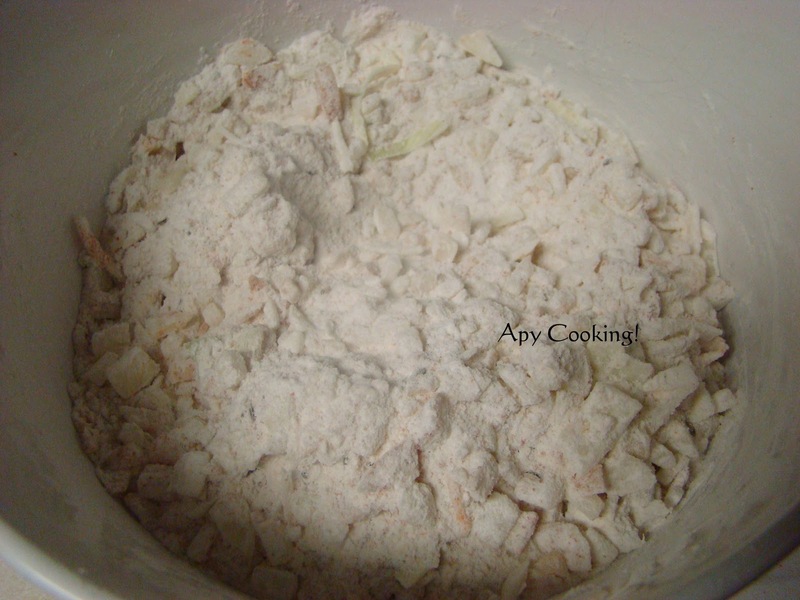 This makes the grains longer and also reduces the breakage of rice when you mix it. 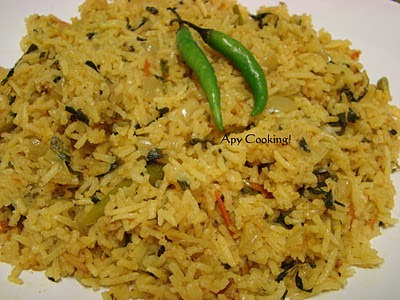 I found that tip very useful and I make it a point to soak the rice each time I cook pulao or any flavoured rice. Wash and soak the basmati rice in water. 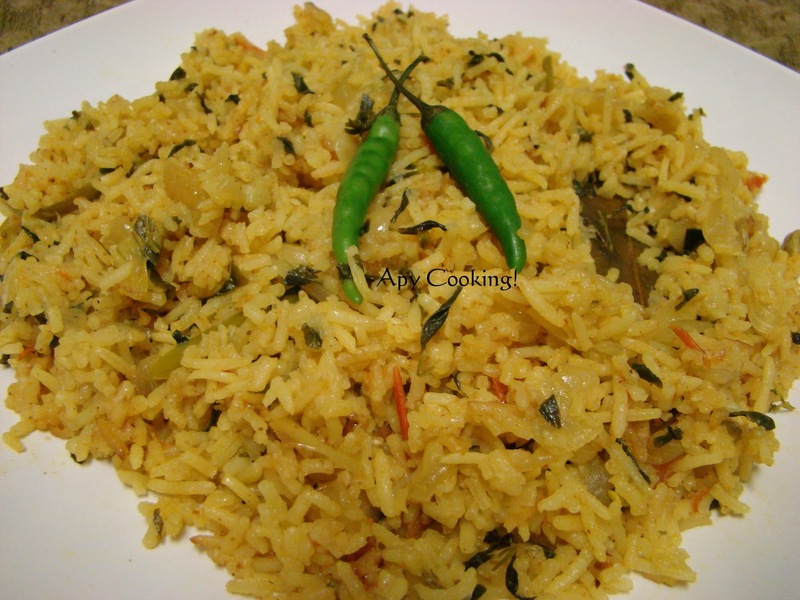 What I do is, I first soak the rice and then start with chopping of the onions etc, so that by the time I reach the part where the rice has to be added, it will be about 20 to 30 minutes. Pluck out the methi leaves from the bunch. 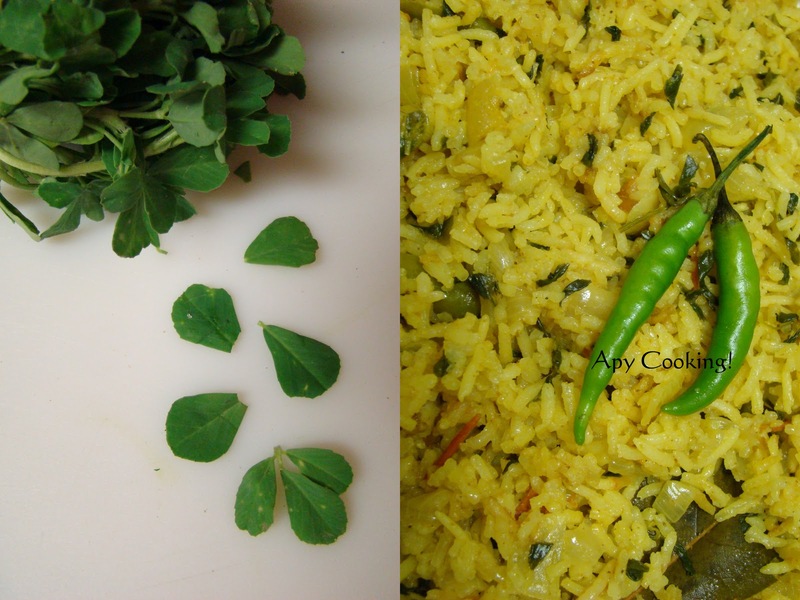 I used 1 cup of packed methi leaves, which is about 1 1/4 cup of loosely packed leaves. Don't chop the leaves as this can increase the bitterness. In a deep bottomed pan, heat oil. Add bay leaves, cinnamon, cardamom, cloves and roast for a couple of minutes. 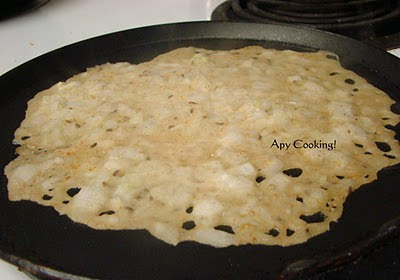 Add onion and sauté till it turns brownish. 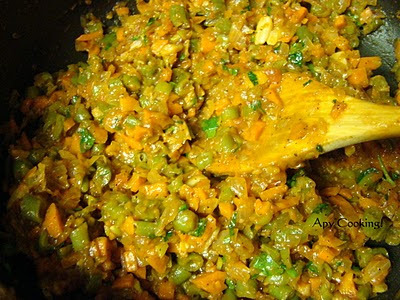 Add green chillies and ginger garlic paste and fry for some more time. Now add methi leaves and roast them well. 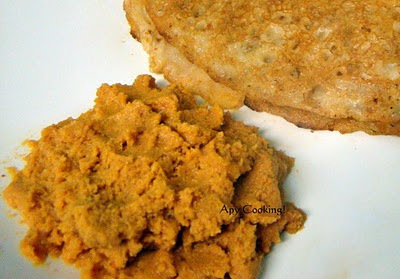 To this add turmeric powder and garam masala and sauté for sometime. Add finely chopped tomato and roast till the tomatoes are compeltely cooked. Drain the rice completely. Add it to the above and roast for a minute. Add ghee for more flavour [I skipped this]. [If you use a rice cooker, at this point, just tranfer the above into the rice cooker, add 1 3/4 cups water and allow to cook]. Back to the pan. 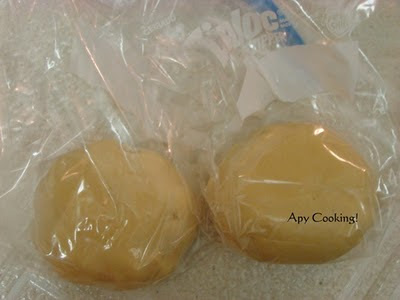 Add 1 3/4 cups of water [ I add 2 cups as I like softer rice]. Add salt [ I used apprx 1 1/4 tsp]. 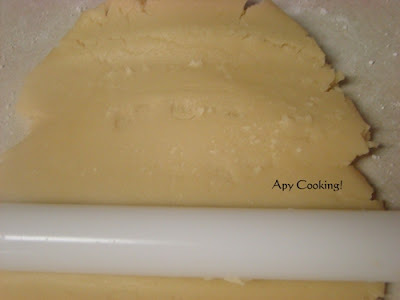 Cover and cook on medium heat for 10 to 11 minutes. Check to see if the water has been absorbed. [You can mix it with a couple of gentle strokes]. The rice has to be atleast 90% cooked. If not, leave it to cook for another 2 minutes, sprinkle more water if necessary. Switch the gas off and leave untouched for 10 minutes or till the rice is completely cooked. Enjoy this one-pot meal with yogurt or raita. I usually prefer it without any accompaniment as I love the flavours in the pulao. Ah.... I think I like the name more than the dish - lemony linguine with creamy mascarpone - makes me want to keep saying it all the time! 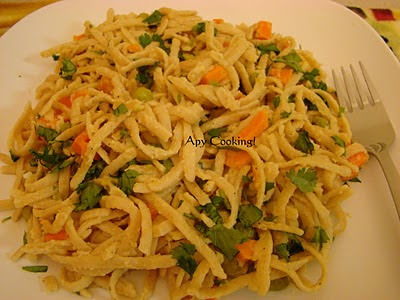 When I saw a packet of whole grain linguine in the store, the first thought that came to my mind was lemony linguine. And when I saw this recipe in Chefinyou, which also added mascarpone, the name lemony linguine with creamy mascarpone rang so hard in my head that I had to give it top priority, slyly ignoring all the other bookmarked recipes which I wonder if I'll ever make. a) I wanted to try lemon zest in my pasta. b) I wanted to use mascarpone cheese in my pasta. c) I wanted to use linguine in my cooking. d) I like the sound of lemony linguine with creamy mascarpone. Did I also say I like the sound of lemony linguine with creamy mascarpone? Come on, admit it, you like it too. Before I move on, let me admit that I did not exactly become a fan of the dish the first time I had it. That was probably because I was having a citrusy pasta for the first time. But when I had it the next day, I liked it a lot more; my taste buds had gotten used to the lemony taste by then, looks like. I used the whole packet of linguine, which comes to more than three times the linguine used in the original recipe (which is a lot, btw). However, since I was using the juice and zest of lemon for the first time in a pasta dish, I increased it by just a few tsps. I also added some spice to it. More importantly, I changed the name of the dish slightly to lemony linguine with creamy mascarpone. 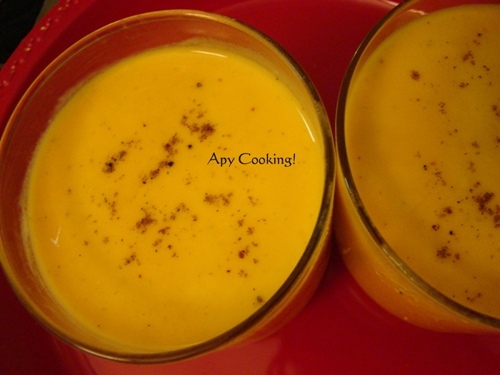 Check the original recipe here. (Note: Zest the lemon first and then juice it. Also, remove only the thin outer skin and not the bitter white pith. If you are using lime, you may have to increase the quantity). I followed this tip from the original recipe. 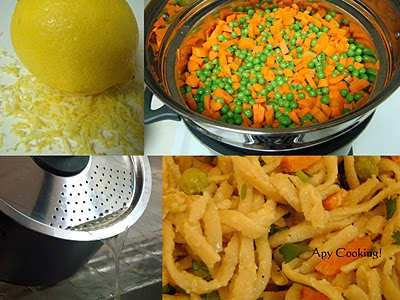 When you keep the water to boil the pasta, place a steamer basket on top with the chopped vegetables in it. That way they get steamed in one shot. Alternatively you can either cook them separately with water or roast them in oil. Boil the pasta in salted boiling water as per package instructions. 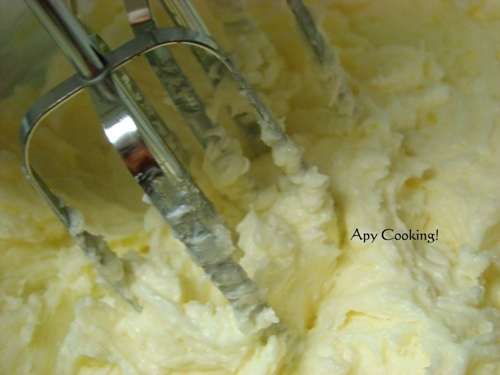 Meanwhile, in a large bowl/ pan, pour the lemon juice, zest and mascarpone, and mix well with a manual whisk. 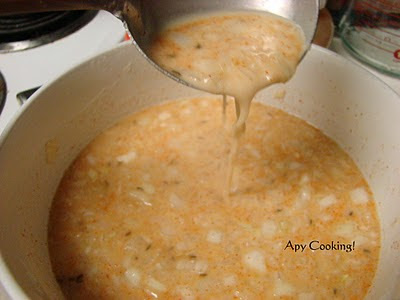 Add oil or water to thicken the sauce, beating well with the whisk. [I used a pan and also brought the sauce to a slight boil]. Add the vegetables and mix well. Add salt, garlic powder and pepper powder. Drain the pasta and add to the sauce, tossing well till the pasta and the veggies are coated with sauce. Top with more cheese if you want a creamier linguine. 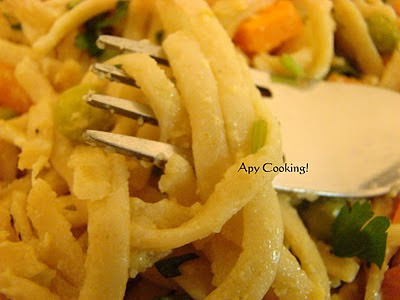 Add more lemon juice if you prefer a more lemony linguine. I did not, because I wasn't sure if my husband would like too much of the citrus flavour. Add more salt if needed. Garnish with parsley. Relish the lemony linguine with creamy mascarpone. Sending this to bookmarked recipes and Presto Pasta Night started by Ruth. Apy Cooking! now has it's own domain. 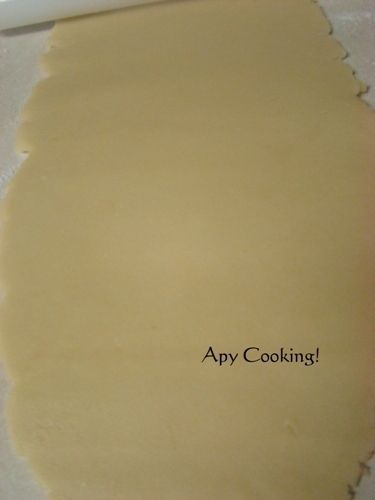 I'm happy to announce that http://apycooking.blogspot.com has moved to www.apycooking.com. 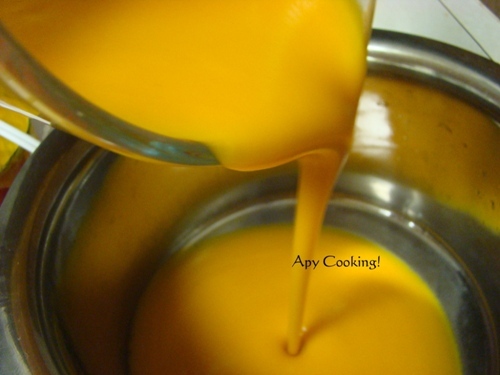 Happy Cooking from Apy Cooking!